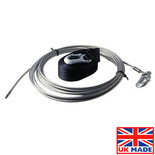 This made-in-the-UK, 15 metre long x 6mm diameter cable is manufactured specifically for Lifting & Cranes TW2000 and TW2500 hand operated winches and is fitted with a convenient hook. 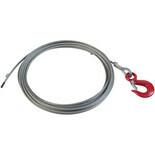 This 15 metre x 5mm diameter cable is manufactured specifically for Lifting & Cranes TW1200 and TW1400 hand operated winches and is fitted with a convenient hook. 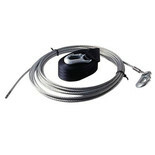 This 15 metre x 4mm diameter cable is manufactured specifically for Lifting & Cranes TW600 and TW800 hand operated winches and is fitted with a convenient hook. 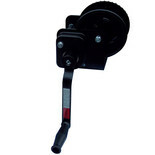 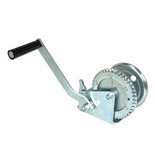 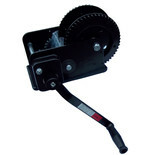 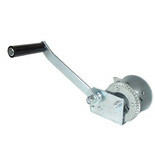 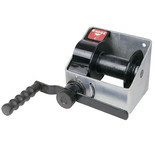 Ideal for moving and pulling loads, this Black Epoxy coated trailer hand winch with self locking brake can be useful for pulling loads onto trailers or up steeper drive-ways. 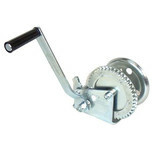 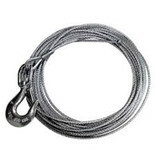 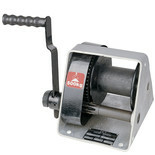 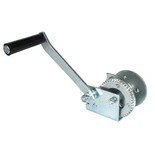 15m long stainless steel winch cable for use with 1200lb stainless steel trailer hand winch.